You think microtransactions are the devil, that they’re destroying the entire video game industry? Cameron thinks otherwise. 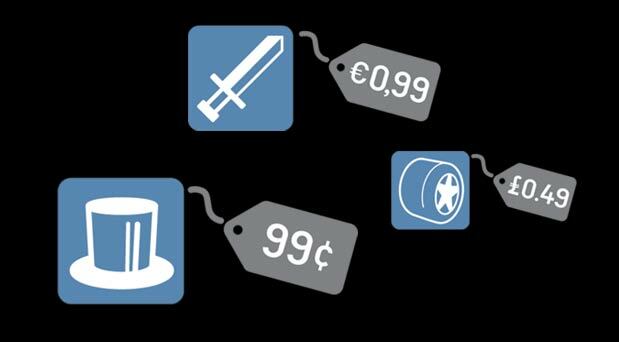 Microtransactions has become something of a dirty term as of late. Games have been torn apart just for the simple inclusion of them. Though the general consensus is more against the practice than not, microtransactions continue to be implemented in many triple A games with no signs of stopping. Even for the titles whose use of such things are nowhere near as offensive as others, this tends to be the case of one bad egg spoiling the bunch- because microtransactions are not as bad or malicious as everyone makes them out to be. Let’s be blunt, I’m a busy working adult who is also a full-time student; odds are whoever is reading this falls into the ‘busy adult’ category of their own mix, likely even busier than myself. We do not have the free time like we used to. We do not have time to unlock every gun, skin, and sight in Call of Duty. We do not have time to do every single quest line in Fallout 3; we just simply do not have time to play as much of any given game as we may like. For many a busy adult, microtransactions actually help those with a hectic life. Take Assassin’s Creed Syndicate for example: the game allows purchase of upgrade points and materials to give a boost to their character and weapons. These microtransactions were even marketed as ways to ‘save time and accelerate progress’. When done so in such a way, unintrusive and unnecessary, it not only helps those looking to speed up the game to eventually move on to more titles, but it’s out of the way enough as to not bother those who want to maintain a genuine gameplay experience. Shortcuts like this are not just single play specific, a multitude of games have methods of skipping progression in multiplayer as well. Though this does seem more drastic as compared to altering your own gameplay experience, when done correctly, this too can help those just looking to get the game they want. Say I pick up a copy of Battlefield 1, I now have the option to unlock everything within any particular class at the drop of $10 (no, this is not a shilling for EA). Though it may seem unfair as compared to those who have put in the hours behind every win and loss to see it all, it could take any average adult weeks to see the same amount of content it has taken a high schooler to see in just a weekend. Meaning: my favorite gun or gadget could be locked behind a progression wall that I may not be able to meet for upwards of a few weeks, but I…we have a work around. I do see the side of those who do work for it, but at the same time there is no uneven playing field here. The weapons unlocked by hours of play is no different than those unlocked by those willing to pay for it. Frankly, I consider it a bit selfish to those who want to force other players into their same experience just because they put the time in. It’s this odd sense of justification that just because someone else bought the same item that they had obtained through ‘work’ everyone else has to as well. At that, those who do spend that little extra for a bit more are supporting the developers they love. (This is not to say those who do not purchase any microtransactions are the cause of failing companies, but those who do just may extend the life support in cases of.). Games have never been cheap to make, and less so today. When we have games like the Tomb Raider reboot being declared a ‘failure’ even after selling 3.4 million on launch, it puts in perspective just how much is put into a single game. Considering we see games’ developers close down all too often, with United Fronts as a whole and several offices of Crytek to be our recent casualties, is it really all too a bad thing to want to give any company a bit more? When anyone purchases a microtransaction, any microtransaction, they are actively supporting the developer of whatever game it relates to. The byproduct of these purchases may or may not be seen by the players themselves. In some cases, microtransactions are actually the cause of things players can celebrate over. Grand Theft Auto 5 has no paid DLC and yet the online aspect of the package has been receiving fairly consistent updates and add-ons in the form of missions, cars, guns, outfits, editing tools, gamemodes, and so on. You yourself may have never touched a Shark Card (the microtransactions that give players in-game money) but those who did have allowed Rockstar to continue on development of a game that people are investing time and money into. Regardless of your stance on them, we, the players, still reap the benefits. This isn’t the only instance either. Though Overwatch had a sizable debacle over it’s lootboxes, they also have lead to the creation of events, skins, and just generally more content for players across the entire game because of the continued support players have given through the purchasing of them. It shouldn’t need to be said but yes, giving developers money, that you like, isn’t a bad thing. The underlying narrative to both of these examples is the fact that lootboxes in Overwatch and money in Grand Theft Auto 5 can be earned by other means. At the end of every mission or match, players are rewarded with progress toward a lootbox in Overwatch, and money in Grand Theft Auto 5. We still have access to every bit of content that can be obtained in game via these rewards and it is ENTIRELY up to the player to pursue other methods of gaining more if so desired. Neither game forces any player to buy anything, nor is content locked behind microtransactions. Note, when a game does such a thing as lock content, or create an unfair advantage for purchasing microtransactions, they are terrible, horrible examples of the system at play and are harming the game they are apart of. That said, the majority of microtransactions for Triple A games don’t fall into such the hot mess. A poor image has been painted for systems like this when they are in place for the players and developers. In most cases, a quality product that the community supports comes first, and the profits follow after. Microtransactions are not about draining your wallet, but are there so devoted and passionate fans of any given developer can continue to support products they love while getting a little extra in return.